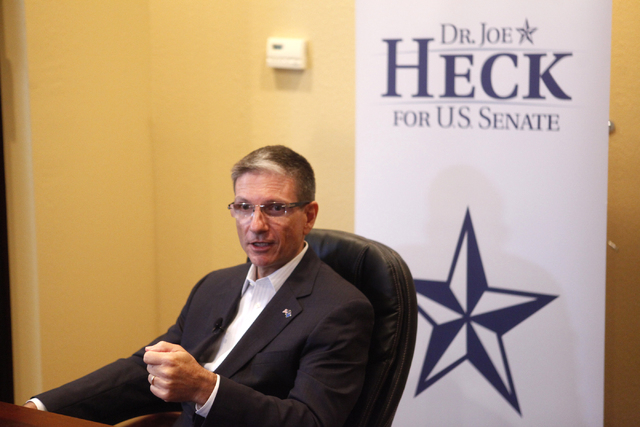 A veterans advocacy group has launched a $700,000 ad buy that raises the profile of U.S. Rep. Joe Heck, R-Nevada, as he runs for Senate. Concerned Veterans for America started the television and digital ad campaign, which touts Heck’s efforts to reform the Department of Veterans Affairs. Launched last week, the ad buy will run for a three-week period in the Las Vegas and Reno television markets. It also reaches Nevadans online. The ad puts Heck in a favorable light ahead of a race for the Senate seat of U.S. Sen. Harry Reid, D-Nevada. 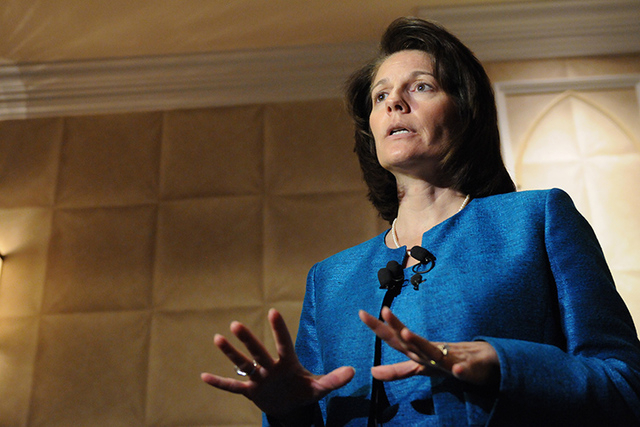 Catherine Cortez Masto, a former Nevada attorney general and Democrat who has Reid’s blessing, is also running for Senate. “Rep. Heck has consistently supported expanding health care choice so that fewer veterans are forced to navigate the slow and mismanaged VA in addition to co-sponsoring and voting for legislation that would make it easier to fire bad VA employees,” said Dan Caldwell, vice president for legislative and political action for the veterans group. Concerned Veterans for American is a nonprofit 501(c)4 group that doesn’t endorse candidates but can legally air ads about candidates records. The ad doesn’t tell people to vote for Heck or mention the campaign. Democrats draw a connection to the organization’s ties to Charles and David Koch, billionaire brothers who give to conservative and Republican political causes. A Washington Post report has linked the brothers to Concerned Veterans for America, but a spokesman for the group said the organization doesn’t disclose its donors. “After Congressman Heck once again did the Koch Brothers’ bidding by refusing to call on the Senate to do its job and take up the vacancy on the Supreme Court, it isn’t surprising they would spend over half a million dollars propping up his campaign,” Nevada State Democratic Party spokeswoman Sarah Zukowski said. 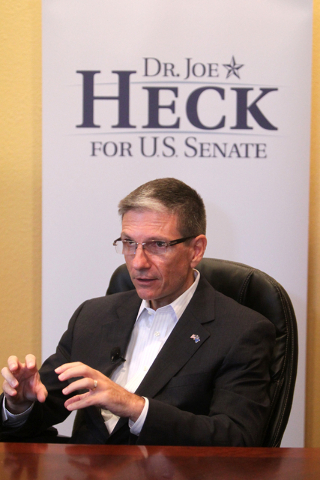 Heck has said both the Senate and President Barack Obama have rights they can exercise in the task of nominating and confirming a successor to Supreme Court Justice Antonin Scalia, who died Feb. 13. 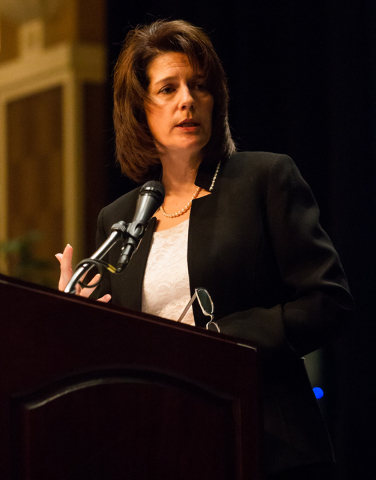 Cortez Masto has gained the backing of police organizations and unions in Nevada, including the group that represents Metropolitan Police Department officers. The groups encompass the Nevada Association of Public Safety Officers, the Fraternal Order of Police, the Peace Officers Research of Nevada, and the Southern Nevada Conference of Police and Sheriffs. It’s the first Nevada election in which the groups have all uanimously endorsed the same candidate. The groups cited Cortez Masto’s record as attorney general. SNCOPS as a broad group that contains the Henderson Police Supervisors Association, the Las Vegas Peace Officers Association, the Las Vegas Police Protective Association, and the Las Vegas Police Managers and Supervisors Association.